(1010)no drain: Dimensions: 53" x 29" x 16½" (1346 mm x 737 mm x 419 mm),Weight: 63 lbs. (29 kg),Containment Capacity: 66 gallons (250 L),Uniformly Distributed Load: 3,000 lbs. (1361 kg). Each for $247.00. (1011)with drain: Dimensions: 53" x 29" x 16½" (1346 mm x 737 mm x 419 mm),Weight: 63 lbs. 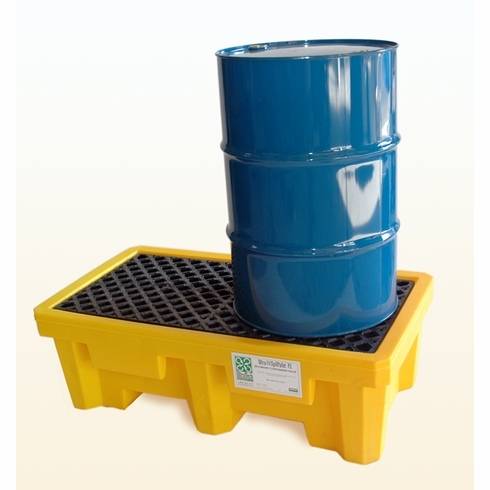 (29 kg),Containment Capacity: 66 gallons (250 L),Uniformly Distributed Load: 3,000 lbs. (1361 kg). Each for $262.00.